Sanyou Technology Inc.draws itself to the development and production &application of meters of industrial process measure and control system and auto control systems. There are 7 series and nearly 1000 varieties of hi-tech products at the company, including D series electric parameter measure control meters, F series frequency, rev and calculation measure control meters, T series temperature, flux, pressure and hydraulic pressure adjustment control meters, H series smart timers &time-accumulating control relays, P series auto device equipment and computer control systems and S series approaching switches and sensors. Our products and control equipment is used widely in the chemical field, the thermal power field, the petrifaction field, the pharmacy field, the metallurgy field, the machine field, the heat treatment field, the food field, the paper field and the research testing field. With the management principle of "sustainable development and win-win for both us and our users", we constantly develop hi-tech products to meet the customers' requirements and establish a long-term partnership with our customers. We respect each other and communicate frankly to commonly produce latest products and form a favorable environment, reaching the win-win result. The company produces and sells auto meters, and undertakes industrial auto engineering and services. There are a group professionals composed of software &hardware engineers, technique &services engineers and marketing experts. 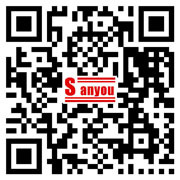 In spirit of innovation and venturing, the people at Sanyou develop, produce and sell Sanyou-branded products. Due to the reliable quality and considerate services, our products are popular with customers from USA, Australia, Israel, Southeast Asia and other regions. We aim at doing better and satisfying customers.